In late October, there was a little photo op, an NYC runway show for climate change, so to speak. People were asked to go out and take a picture of the unusually high “king tide” which was about one foot higher than normal high tides around the area. Put another way, this extra foot simulates what global warming induced sea level rise may bring about as soon as 20 years from now. 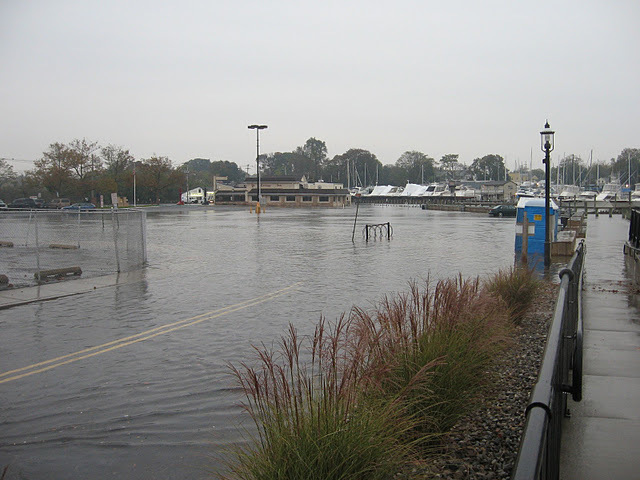 Picture of the normal high tide level at Keyport Harbor, New Jersey. Credit: Mark Fedosh. King tide shot at Keyport Harbor, October 27th. Credit: Mark Fedosh. Looking further ahead at our warming world, one foot every twenty years is roughly the rate at which sea level rose as Earth emerged from the last ice age, mainly due to melting glaciers. This provides our one observation of how sea level rises when our climate rapidly warms over a long period of time. In my opinion, this rate of sea level rise is unlikely to occur yet, because the processes that cause such rapid ice melt take a long time to get fully underway, probably many more decades. It is more likely that we will see a foot of sea level rise around about 2050. 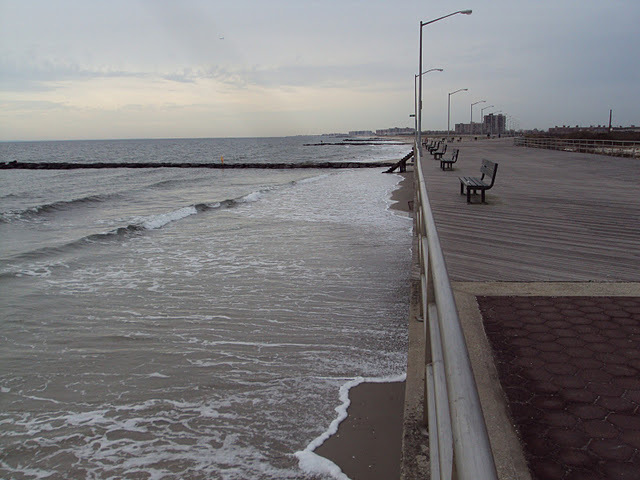 King tide at Rockaway Beach 36th Street, October 26th, 8:30am. Credit: Jill Weber, NYC Parks. As shown above, this is a precarious situation for our area beaches, which already lack protection from storm surges that dunes would provide. Unless property owners are willing (or required) to give up beachfront land, we are headed toward a time when finding a spot at the beach will mean laying out on the boardwalk. 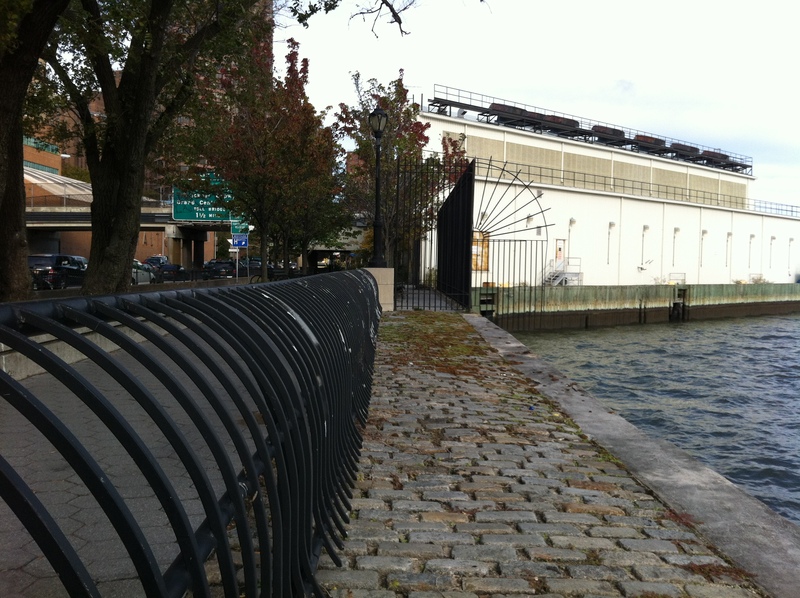 Average sea level at East River on the Upper East Side. The building is the 91st Street marine garbage transfer station, and FDR Drive is on the left. King Tide on East River on the Upper East Side, October 26th, 2011. This simulates what average sea level could be in the 2080s. 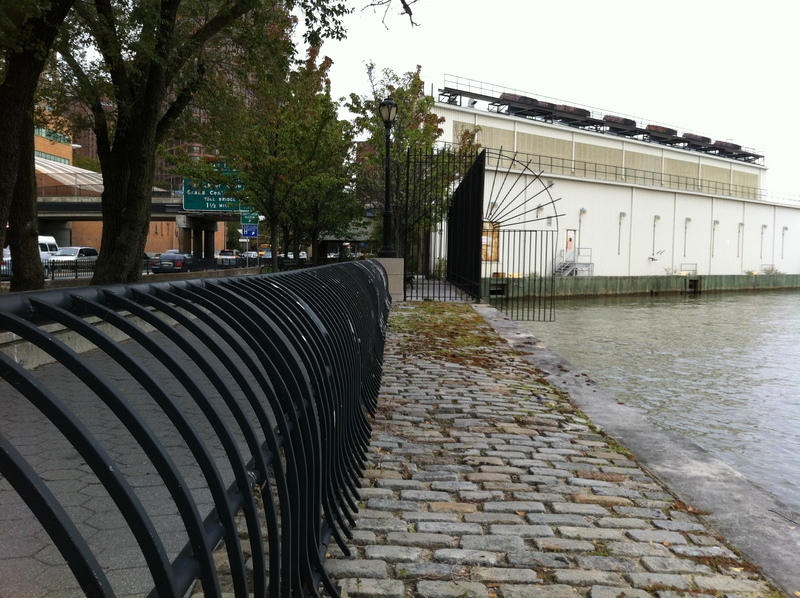 The simulated rise of 3.6 feet from today’s mean sea level to the 2080s mean sea level is compelling because a typical high tide adds another 3 feet on top of this, which would flood FDR drive, shown on the left side of the photos. This situation could require a re-build of these low-lying parts of the highway system around New York City. The planned new marine garbage transfer station will also need to be built a few feet higher to account for several decades of expected future sea level rise. 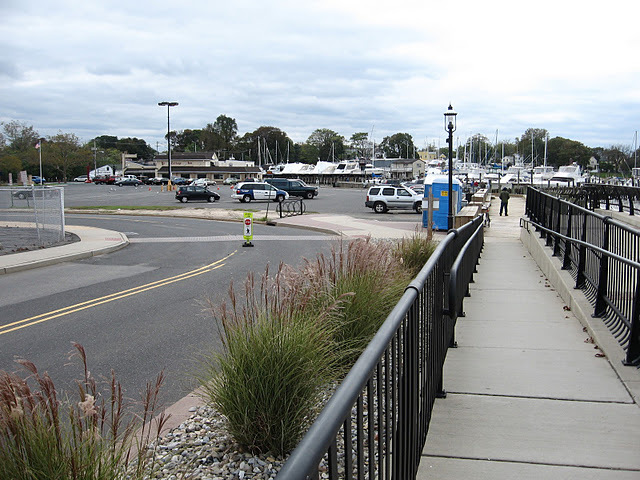 Many more pictures from all over the region are posted on a Google Map on the NY/NJ Harbor Estuary Program webpage. I think this was a great group project, not only to show people how sea level rise will impact their local coastline, but also for connecting people who care about this issue. This entry was posted in climate, water and tagged beach, FDR Drive, glacier, Keyport, king tide, meltwater, Rockaway, sea level rise, spring tide, Upper East Side. Bookmark the permalink.